Britannia Quickmove are a Wiltshire-based move management company that helps families and individuals relocate their home and personal belongings. Our commercial division work with businesses large and small to seamlessly relocate them with ease. We provide house removals and business removals with varying levels of service depending on your requirements. From packing and removals to a full relocation and space planning service, we can help you move home or relocate your business with minimum disruption and downtime. We operate in a network of members stretching the length & breadth of the UK, if you’re moving outside of the area we have the infrastructure in place to move you from A to B completely hassle free. 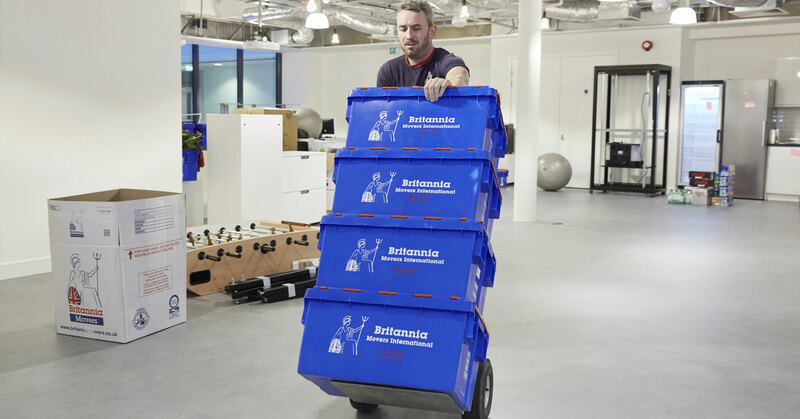 Find out more about the Britannia Quickmove Team. We provide a comprehensive commercial relocation service, offering full business moves, office moves and a move management service. If you require specialist moves such as IT & telecoms, file archives or disaster & emergency recovery, we have a team dedicated to provide those services for you. When you move to your new premises, we can assist in the planning and design of your office space and workstations to help you maximise the layout and optimise the feeling of space. Our sister business, All Boxed Self Storage can assist you when it comes to secure business storage. They can provide you with a variety of secure storage container solutions to meet your requirements. If that wasn’t enough to help you successfully move, we also offer Crate Hire to give you a secure packing solution whilst your property is in transit.